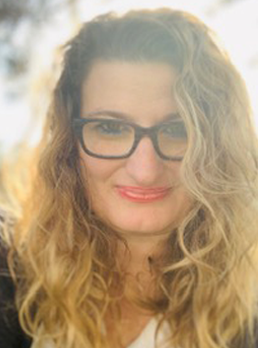 Miranda Spigener-Sapon – Executive Producer – Miranda is an award-winning writer who recently directed the 20th Anniversary return to the stage of her play The Flame at Metropolis in Santa Monica. In the past, the play received praise by Houston Press and The Village Voice in 1997 during its original run. The special anniversary run received praise by Broadway World and The Los Angeles Times. In 2018, she directed the stage adaptation of her award-winning, time-travel/sci-fi/romance short-story, Coffee with John which received a glowing mention in The Los Angeles Times. Miranda Spigener-Sapon is an award-winning writer whose play The Flame received praise by Houston Press and The Village Voice in 1997 during its original run Off-Broadway/NYC and in Houston, Texas. Miranda directed the documentary feature Masculinity That Inspires Change, written by Gunter Swoboda, the first installment based on his “Good Men Great” Movement, that will debut on Amazon Prime Video. Miranda’s first scripted series, Marisa Romanov, will come to Amazon Prime 2019. The series is produced by Noirtainment. Spigener-Sapon also founded publicity firm, MS Film PR Literary, that is “PR for artists by artists”. Miranda is also repped by entertainment attorney David Kim, Esq./The Hollywood Lawyer and Jamie Goucher, Publicist at MS Film PR Literary. Miranda signed a 4-book deal with Winterwolf Press to write the novel: Charles: A Marisa Romanov Story, a prequel to the Marisa Romanov series. The book will be released November 2019. Amazon has already optioned part of the feature film rights. Will McPherson and Karen Patmas have been working on solidifying strategic deals for Miranda’s many works including first look deals with various studios and networks. Upcoming television projects include a mini-series Just Us, and a Netflix/French TV series, Café Dans Le Temps. Feature films projects include a feature film, the psychological noir-crime thriller Intrigue; Letters to Lauren, romantic drama loosely based on true events and the adaptation of her play The Flame to a feature film. McPherson is also currently securing financing and distribution on a psychological thriller/ensemble cast film titled The Phone. Will McPherson obtained his MBA/MA and JD from University of Washington and holds over 10 years experience representing award-winning writers, musicians, producers, BAFTA Winning DPs and directors. He travels extensively in Europe and Asia with a multitude of contacts in production and finance that further solidifies his goals for his clients. Will began his career working the desk as an assistant and Jr. Agent at one of Seattle’s largest talent agencies. Upon, moving to L.A. after graduation he became an Assistant and then as a literary agent during his 8 years at UTA Los Angeles. He begins the new year as a Literary Manager with his company M3 Literary Management that holds offices in Beverly Hills and London. National Talent LA is a licensed and bonded talent agency and is a SAG-AFTRA and WGA signatory headed by Karen Patmas who serves as President. Paula Allen is National Talent’s Head of Literary. National Talent LA is a dynamic company with a fresh approach. Committed to core values of ethics, integrity, transparency, service and transformation, NTLA insists upon upholding the highest professional standards while serving the needs of both talent and clients. NTLA is highly selective. National Talent LA’s talent are not just elegant, they are consummate professionals. NTLA will help our talent forge successful careers enhancing their brand and that of our clients to transform the industry. For press inquiries Lauren@msfilmprliterary.com or call 855-909-6647 ext 805.